Tuscany participates in this “cultural marathon” with guided visits and special openings of normally inaccessible artistic and historical sites. On October 16, the list comprises venues in Lucca, Pisa, Pistoia, Siena, San, Prato, Arezzo, Massa and Grosseto, Carmignano, Capraia e Limite, San Gimignano, Sansepolcro and Campiglia Marittima. 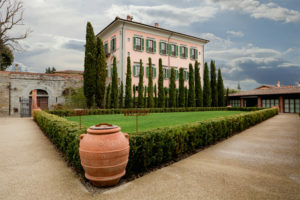 Although admission is free, the day provides an opportunity to make a donation, large or small, to FAI – the Fondo Ambiente Italiano (the Italian equivalent of the National Trust) – an organization that safeguards and promotes Italy’s historic patrimony. 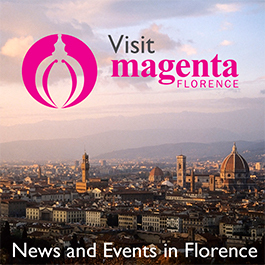 Within the region, featured are in-depth visits at the home of Piero della Francesca, with a chance to see the restoration-in-progress of his Resurrection, in Sansepolcro; a rare glimpse of etchings on the theme of wine created by famous artists such as Mantegna, Rembrandt, Goya, Picasso and Warhol at Il Borro, a former royal residence in the Casentino; and the beauty of Mineral Museum in Campiglia Marittima. In Lucca visitors can visit the Palazzo Ducale built on the ancient site of a fort erected by Roman Emperor Augustus in the 1st century BC. Destroyed and rebuilt in the 14th century, it later became the residence of Elisa Baciocchi, Duchess of Tuscany and sister of Napoleon Bonaparte. Architect Lorenzo Nottolini’s restructuring work with fine decorations in stone and stucco added a 19th century aspect to the palazzo. “The Secret of Lucca: Church of Santa Caterina” invites the public to explore this recently restored magnificent example of Baroque architecture. With an interior filled with fine paintings and an intricately frescoed dome, visitors are also able to view close up the architecture that keeps the dome in place (Palazzo Ducale, Cortile Carrara, 1. Open 11 am to 5:30 pm. Church of Santa Caterina, Via Crocifisso. Open 11 am to 5:30 pm. Tours in Italian and English). The area of Prato offers “Pilgrims on the Road of the Etruscans” opening three religious edifices that were stopping points for travelers making pilgrimages to Rome. The first, the Abbey of San Giusto al Pinone in the village of Carmignano, a Romanesque 12th century cloister with its massive bell tower, presents an imposing if rustic representation of medieval architecture (Via Montalbano, 7. Open 10 am to 5 pm). Located at the edge of a forest, San Martino in Campo in Capraia al Limite was built as a Benedictine monastic center in the 11th century. (Via San Martino al Campo, 1. Open 10 am to 5 pm). The final venue in this triad of wayfarer rest stops, the parish church of San Leonardo and Artimino houses Etruscan tombs, a wooden polychrome statue of San Leonardo and crucifix dating to the 16th century and terracotta relief artwork in the Della Robbia style (Artimino, via della Chiesa, 5. Open 10 am to 5 pm). In addition the Archeological Museum in Artimino contains excavations of numerous Etruscan sites and burial chambers (Piazzo San Carlo, 3. Open 10 am to 5 pm). In the town of San Gimignano one can see the recently opened to the public Tower and House of the Campatelli. Discover the history of the town and its intriguing towers in this well-restored gem, the home of a Renaissance bourgeois family (Via San Giovanni, 15. Open Saturday, October 15 and Sunday, October 16 from 9:30 am to 7 pm). Traveling west to the region of Livorno, the hilltop village of Campiglia Marittima offers a visit to its Museum of Minerals and Machines. The museum contains specimens of locally derived minerals from Etruscan to present times as well as minerals from all over the world. Also on site one can visit a medieval blacksmith shop and observe how iron objects were historically forged (Via di San Vicenzo, 34b. Open 10 am to 6 pm). “On the Trail of Piero della Francesca” a special initiative of the town of Sansepolcro near Arezzo provides a local view of this early Renaissance master and mathematician. One can visit the artist’s birthplace where this son of a Tuscan noble family was nurtured (Via Aggiunti, 71. Open 10 am to 1 pm and 3 to 5 pm). The Civic Museum of Sansepolcro with its dedicated area to Piero della Francesca contains his Madonna of Mercy altarpiece as well as works by Andrea della Robbia and other artists of the area. For those registered with the FAI Marathon, with reservation special access to the workshop with the ongoing restoration of Della Francesca’s “Resurrection” is possible (Via Aggiunti, 65. Open 10 am to 1 pm and 3 to 5 pm. Reservation required for limited numbers can be made at tel. 392 406 6844).